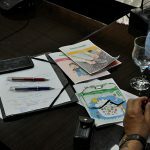 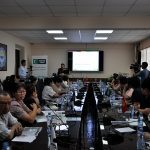 The Addiction Prevention Training Program of Turkey (TBM) which is the world biggest addiction based prevention and protection program, will be carried out in Kyrgyzstan. 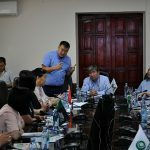 Prepared by experts, The TBM contents were translated into Kyrgyz by Kyrgyzstan Green Crescent. 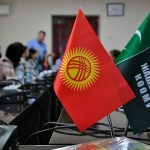 On June 28-29, a meeting was held in Kyrgyzstan Pedagogical University with over 40 secondary school administrators. 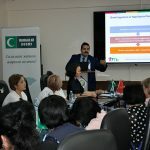 Green Crescent Training Director Fatih Çavuşoğlu attended the meeting on behalf of Green Crescent and discussed the content and implementation methods of the TBM.